Just like all of America who watches ABC, I’ve seen the TV ads for The Bachelor couple J.P. Rosenbaum and Ashley Hebert’s wedding, which took place at the historic Langham Huntington Hotel in Pasadena, California. I never imagined that just three months after their wedding that I would be staying in that gorgeous hotel as part of the #DisneyOzEvent group. The Langham Huntington Hotel is just a few minutes away from downtown Los Angeles, but while on the grounds of the charming hotel I was completely unaware of how close I was to the city that never seems to sleep. Built in 1907, the Langham Huntington Hotel has become a famous landmark, and it was easy to see why once I began to explore my room and the long hallways. The layout of the Langham Huntington is designed in such a way that it was impossible even for someone like me, with no sense of direction, to get lost. As I walked through the hallways from one end of the hotel to the next, I always had something beautiful to look at, whether it was the wall accents or the beautiful outside gardens. Right from the moment I first checked in, the Langham Huntington Hotel felt like home. I was given a rose along with my room keys when I commented that I felt as if I had just stumbled onto an episode of The Bachelor. The welcome gift I found when I walked into my room was even more wonderful than my gorgeous rose. We had several hours to get ready for the red carpet premiere that evening, so I met up with my fellow bloggers in The Terrace, a restaurant that serves breakfast, lunch, and dinner. It is the more casual restaurant in the hotel, and guests can also order this menu as room service, which is what I ended up doing for my first meal there. Room service arrived promptly, and they were happy to accommodate two hungry bloggers charging their meals to separate rooms. Any time I stay in a hotel, I end up spreading my belongings all over the place. When housekeeping came in to clean the room, they organized all of my things and even laid out my pajama set for me. I thought it was a very nice touch, and it made things easier for me when we got back to the hotel late in the night. We stayed there during Valentine’s Day, and housekeeping also brought a very sweet Valentine’s Day surprise: a heart-shaped sugar cookie! I found it on my pillow when I arrived back in my room that night. The Langham Huntington Hotel is not the type of hotel where you stay when you’re on vacation, it’s the kind of place you go on vacation to! They have a gorgeous pool, an exercise facility, a spa, and several jogging paths–why would anyone even want to leave? And of course, it’s a beautiful location for weddings, too! Check out all that Langham Huntington Hotel has to offer! The scenery looks amazing! I would love to visit here! That’s just beautiful and seems to be very oppulent and stately! I love the picture of the garden, and yes, wedding was the first thing that popped into my head. Beautiful and such nice “extra” touches by the staff. You are one lucky girl! The place looks amazing I would loveee to stay at a place like that even for a night! I think it is weird they laid out your pajama set. I don’t know if you had them in your drawer or bag but I would hate to feel like someone is going through my stuff even for positive reasons. Thank you for the great idea! 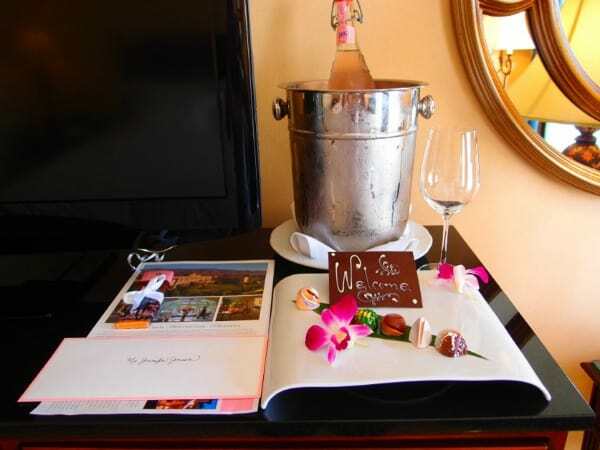 I live a few miles away and have never thought of this… to stay at the Langham Huntington Hotel! What a beautiful place. Would love to visit. 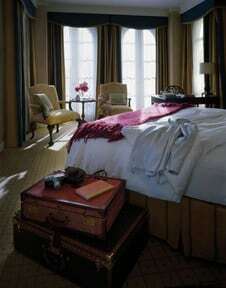 I would love to go to the The Langham Huntington Hotel! It sounds wonderful–you’re so lucky! I have actually never even been to Los Angeles…so I’ll add it to my list! I think this Place is fab. We go to california every year maybe we should try this one. You are so lucky as your experience sounds wonderful! 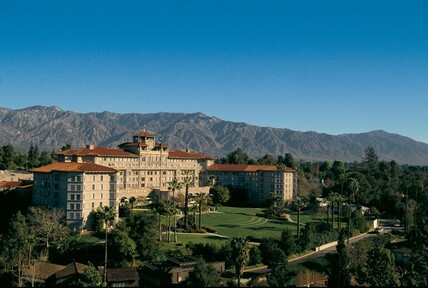 I was in Pasadena once about 10 years ago — it is beautiful. Love California, I wish I could go back. That place looks unreal! What a breathtaking spot in heaven! i love older, stately hotels and this one looks like a gem. if i ever get to pasadena, i will look into staying here first. thanks for a wonderful review, it seems divine. J.P., Ashley and you all have great taste – this place is unbelievably gorgeous – like a fairytale for a wedding locale. 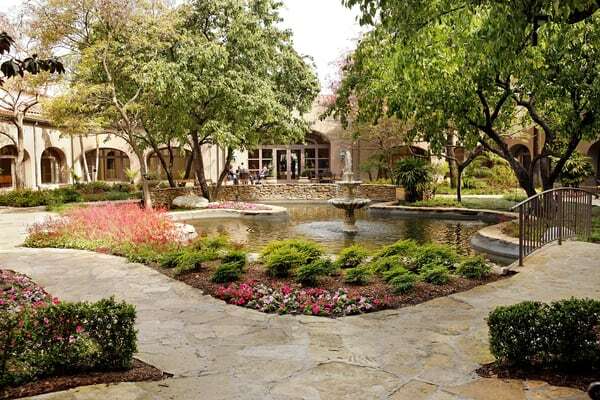 I have always wanted to go to California, and what a beautiful hotel that is to stay in. Your pictures are beautiful, how lucky you are to get to stay there! This hotel looks gorgeous! I’ve gotta go visit if I’m ever in the area!